Nestled among picturesque landscapes, the Orchid Palace Ashoka Avenue Chattarpur boasts romantic charm. 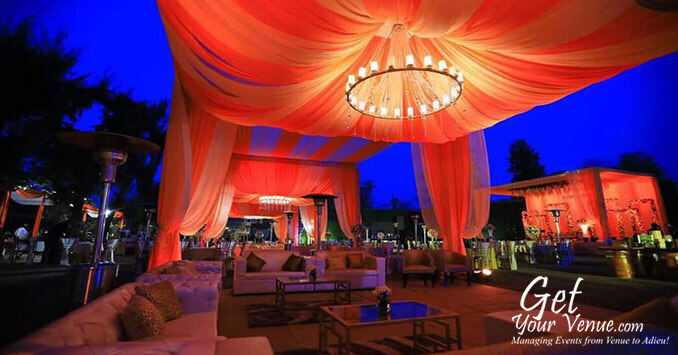 With acres of tranquil grounds, offering serenity and privacy, featuring aesthetically maintained gardens, magnificent interiors, and a plethora of facilities and amenities, this wedding venue in Delhi the perfect backdrop for your day. Add to that, excellent service and sumptuous food and you have the makings of a truly memorable wedding day. 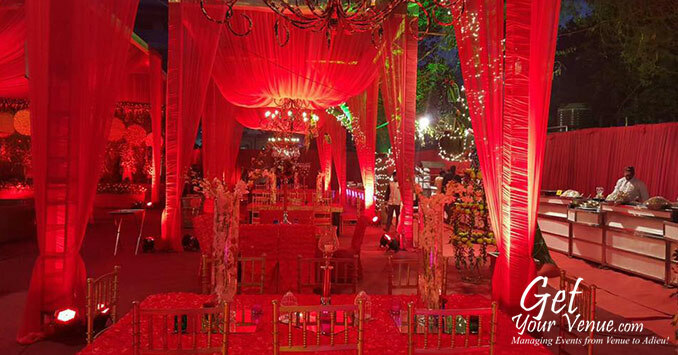 Located in Fatehpur Beri, the venue offers an experience of comfort and convenience like no other. The venue’s professional staff leaves no stone unturned to ensure you and your guests enjoy a comfortable stay. 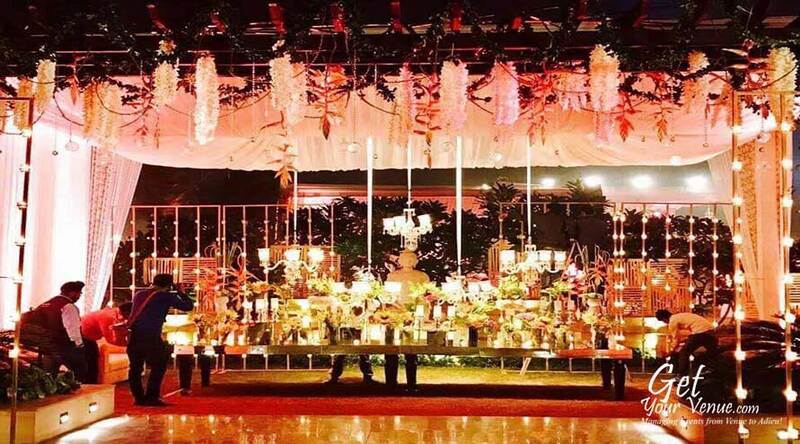 Facilities include a large parking area, round-the-clock event support, multi-cultural cuisines, in-house décor, as well as three beautiful lawns with banquets, and one wedding hall in South Delhi. 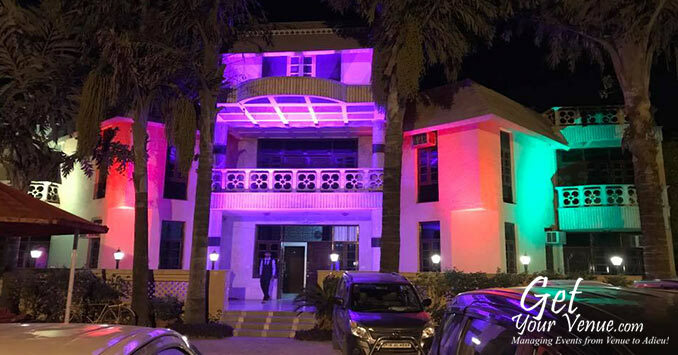 If you seek a unique blend of comfort, grandeur, and style for your wedding, look no further than the Orchid Palace Ashoka Avenue Chattarpur. 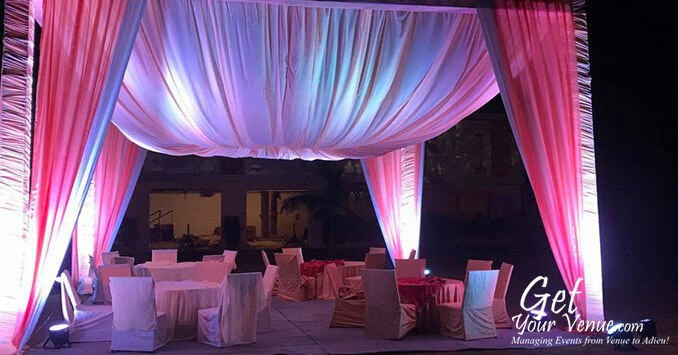 Be it splendid, lavish galas or small, intimate affairs with friends and family, The Orchid Palace Ashoka Avenue Chattarpur offers a variety of wedding areas in South Delhi where you can host a variety of wedding-related events. 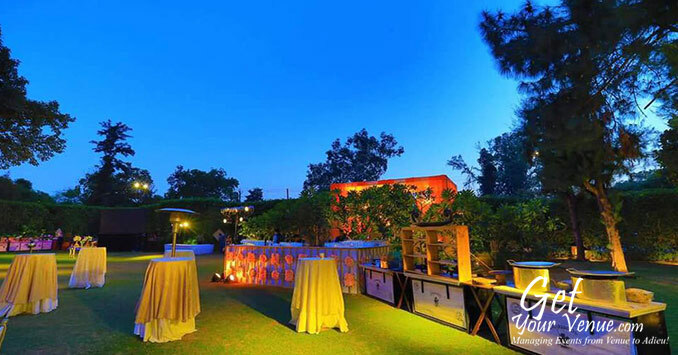 Lawn 3 – Ideal for small, private celebrations, this 80,000 sq ft lawn is for those to-be-wed couples who’d like to tie the knot in lush green, romantic settings amidst picturesque landscapes. Here you can invite 100 to 150 guests. Royal Lawn & banquet – If Lawn 3 is too small for your requirement, you can choose the Royal Lawn. It has a seating capacity of 80,000 sq ft and can entertain 300 to 600 persons. 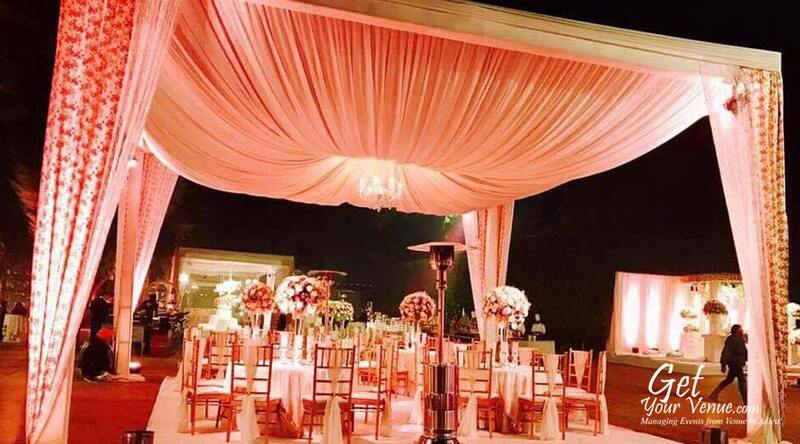 With its enchanting timeless beauty and blissful elegance, the garden promises to take your guests’ breath away. 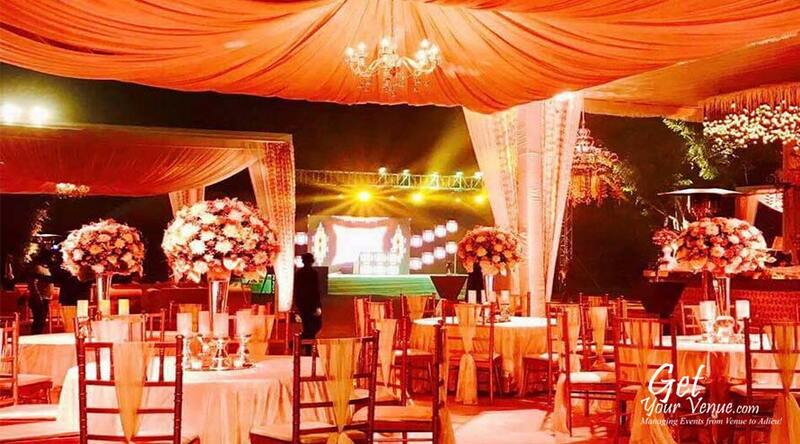 Rajmahal Lawn & banquet – A romantic wedding venue surrounded by beautiful rolling countryside, the Rajmahal Lawn is the ideal choice for larger-than-life extravagant celebrations. It is 80,000 sq ft large and can accommodate 800 to 2,500 guests. 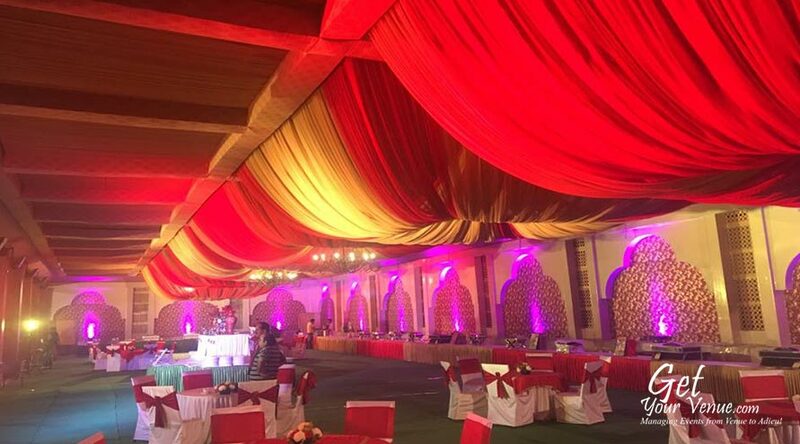 Hall – Filled with elegant decoration that will surely mesmerize guests, this is an 80,000 sq ft large banquet hall in South Delhi. 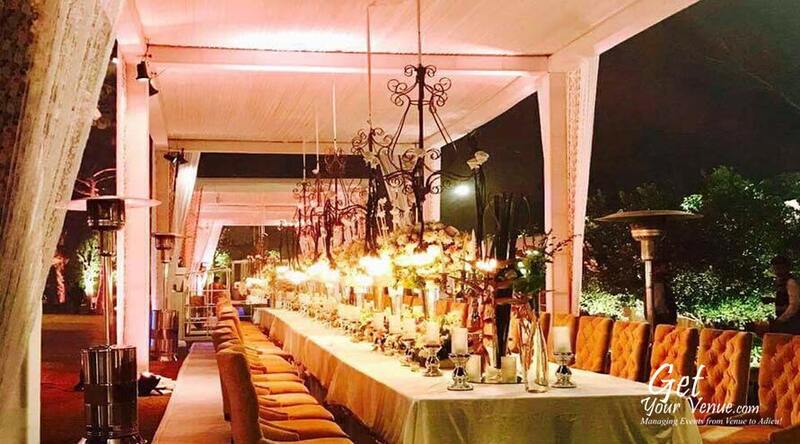 With a seating capacity for 100 to 250 persons, it’s the perfect alternative for those who’d like to host intimate wedding ceremonies but without an open setting. 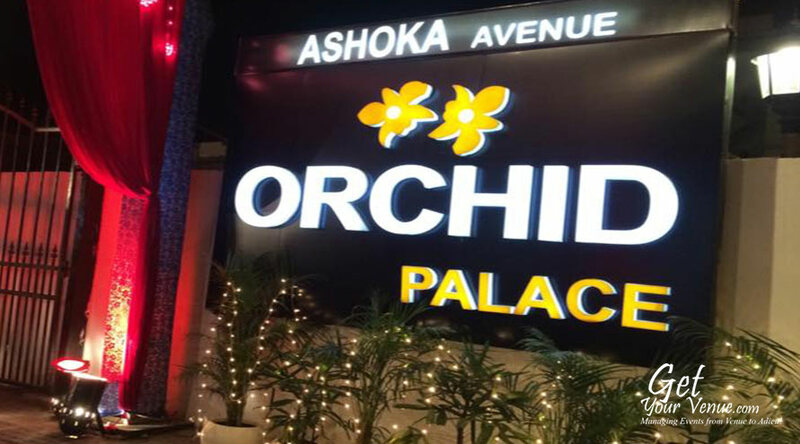 To book the Orchid Palace Ashoka Avenue Chattarpur, kindly dial 8800093444.